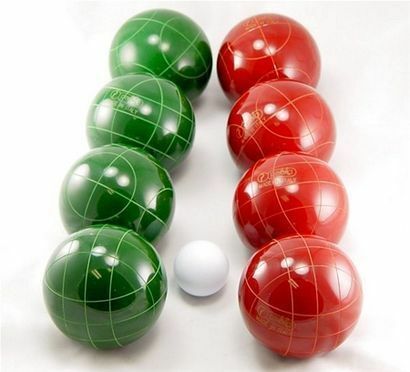 Bocce ball, also called bocci or boccie, is a relaxed but strategic game with an ancient lineage. Although probably emerging from ancient Egypt, bocce started to hit its stride with the Romans and Emperor Augustus. It gained massive popularity with the influx of Italian immigrants at the turn of the 20th century. Today, bocce is a calming, competitive way to spend a few hours outdoors in the pleasant company of friends.